Please pray for me, I am 56 years old unemployed for two years now due to overage policy in the Philippines where I am residing. I have plenty debt to pay and health problems as well as my wife. I have no source of income to support my wife and kids.I hope God will guide me where can I have a source of income and I hope that abundance and prosperity will flow in our direction. 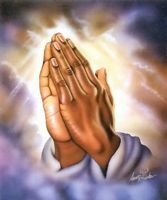 I need financial and healing prayer to solve our problems.